The Autocannone da 75/27 su TL37 was built in 20-30 copies, after the outbreak of hostilities, in Libyan workshops of the 12º Autoraggruppamento AS (Africa Settentrionale), essentially in order to compensate for the shortage of self-propelled guns. 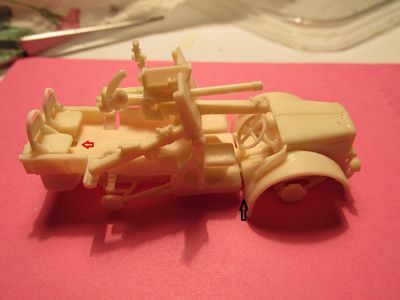 It is a model Fiat-SPA TL37 Libia with the rear body modified to accommodate a 75/27 Gun Mod. 1911. The gun itself was the Vickers-Terni Italian version of the gun developed by French Lt.C. Deport in 1908: originally a field gun, it was much appreciated by the Italian army because of its effectiveness, sturdiness and manoeuvrability and also proved effective in anti-tank role; the gun was mounted without wheels, and the two trails of the original carriage were shortened and fixed to the chassis frame. The original shield was also redesigned and shortened, while the shooting angle was limited to the anterior sector. While moving, the barrel was lifted anteriorly between the driver and the gun captain; in some vehicles these two positions were protected by a front shield. 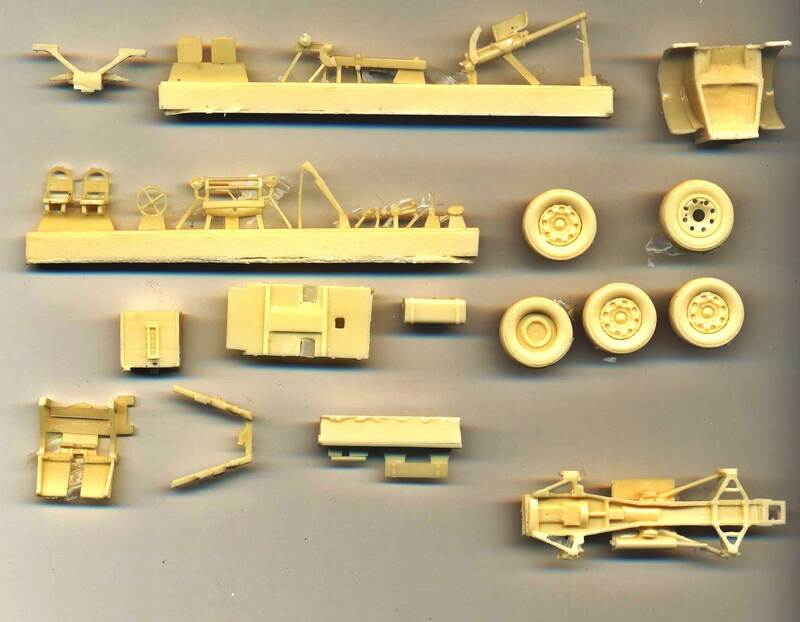 Other modifications included an ammunition rack on the right side, repositioning the auxiliary tank under the rear chassis and mounting a spare wheel on the left side. Posteriorly two gun crew took place on two seats. 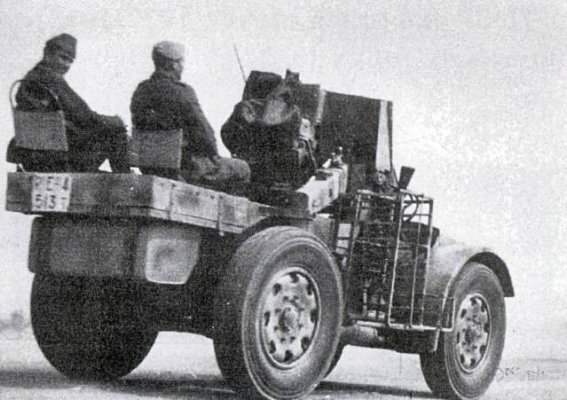 The Autocannone da 75/27 su TL37 was assigned to the XVI Gruppo Autoportato del Raggruppamento Celere A.S. and, in 1942, to the 136º Reggimento Artiglieria Motorizzata della 136ª Divisione corazzata "Giovani Fascisti", who fought in Tunisia in 1943. The kit comes in a small plastic bag with the label at the top. The label has a small black & white photo of the front-left side of the vehicle. 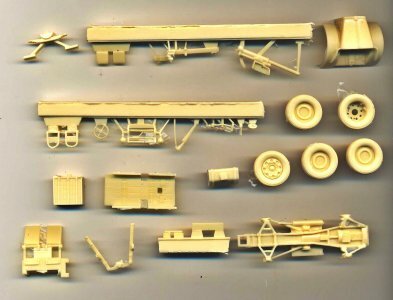 The model consists of 29 light-amber-colored, cast resin parts. Parts are nicely cast, with no bubbles or warping. There is the inevitable amount of flash around some parts, but clean-up was very easy. The assembly instructions are the standard exploded-view style with no written instruction. A brief inspection makes it easy to understand that there are no compromises between scale and historical accuracy. 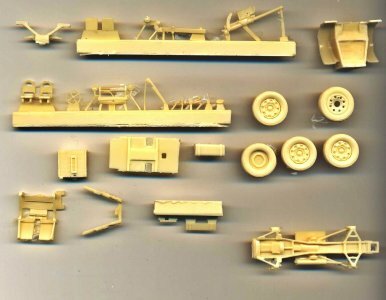 Every single detail is there, down to the particular thread pattern on the wheels; the final assembly looks rather sturdy, although the model looks very delicate, with many small details. 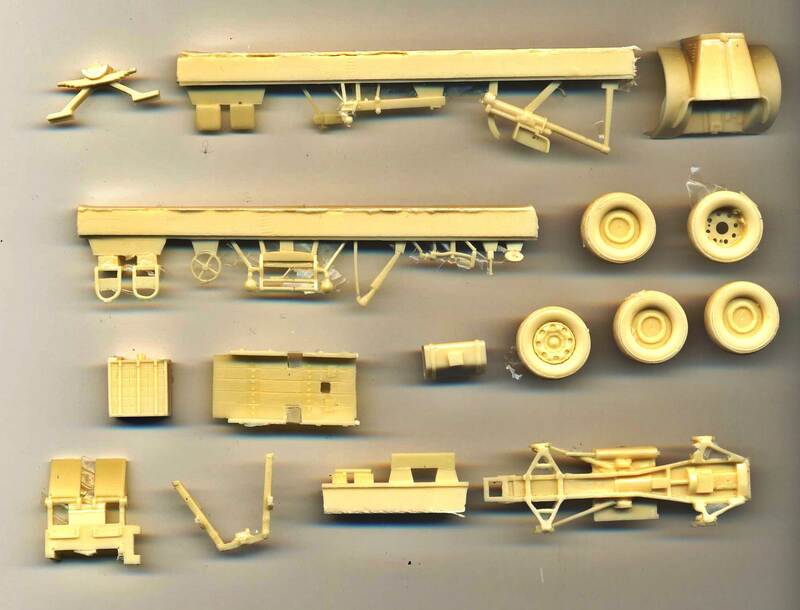 Pieces go together very easily and there are no parts that require a particular attention. Even the small instrument panel is there, with the three instruments clearly visible (since it is not specified, note that the smallest, central one should be the lowest - see photo). 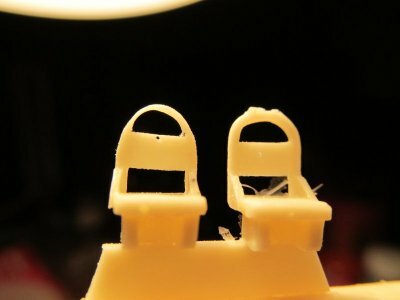 The wireframe supporting the seatback is inevitably thicker than it should be, but resin can be filed so I made it thinner (left one after filing - right one without). The wireframe supporting the ammunition rack is a bit simplified but I think it was impossible to do any better in this scale. A skilled modeller can scratch a new one from thin wire. As you can see in the photo below, there is a small gap in the pavement below the anterior seats (black arrow); nothing to do with the small, squared hole in front of the posterior seats (red arrow), which was the access to the fuel cap and it is faithfully reproduced. 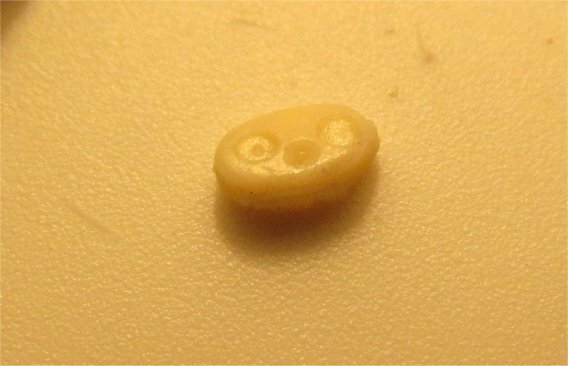 I could not find enough evidence about the anterior fissure, maybe it is only present in my sample, so I decided to fill it. 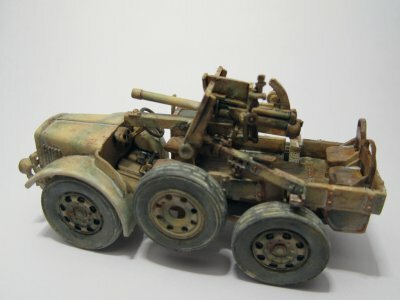 The Autocannone da 75/27 su TL37 were painted in a green-over-sand scheme, which I tried to reproduce here. 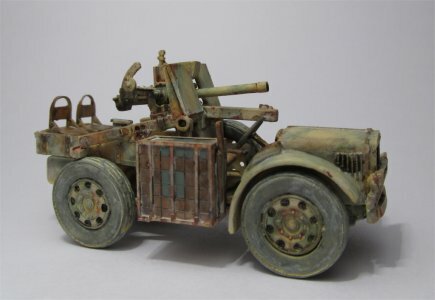 The particular vehicle I chose to model was one of the last "veterans" of the batch, fighting in Tunisia in 1943 after having spent many months of fighting in the desert, therefore it is rather worn and dirt, with signs of heavy use and traces of rust. Holes in the wheels are not as deep as they should be, so a small drop of black into each one gives them some needed depth. The same thing is true for the muzzle, which needs to be drilled. Ammunition cases were painted partly in natural wood and partly in gray-green. Leather parts were given various shades of leather color to reproduce heavy use. Some photos show license plates, at least posteriorly, but we can not say if this was a universal rule. Since no decals are provided, I had to print one with a laser printer. 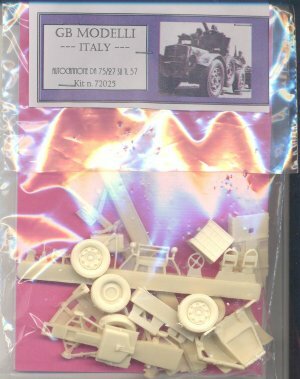 In conclusion, I can say that this is a well-designed kit that fills an important gap and should be part of the collection of any WW2 Italian army enthusiast. Thanks to Giorgio Briga (GB Modelli) for the review sample.